WACO, Texas (Oct. 26, 2016) – The United States Department of Agriculture (USDA) recently released its report, “Household Food Insecurity in the United States in 2015.” The report shows a significant decline in the national food-insecurity rate, from 14 percent to 12.7 percent in one year, which means that millions more people throughout the nation now have access to food. 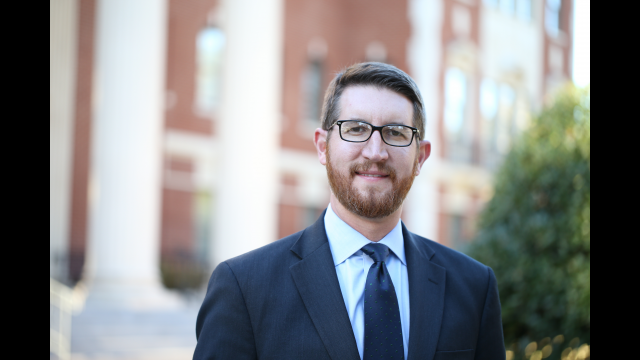 Jeremy Everett, M.Div., is director of Baylor University’s Texas Hunger Initiative (THI). In 2014, he was appointed by Congress to serve for a year on the National Commission on Hunger, which was charged with providing policy recommendations to Congress regarding programs and funds to combat domestic hunger and food insecurity. In this Q&A, Everett discusses the report, food insecurity in the nation and in Texas, and which campaigns and efforts are working to reduce the number of people going without meals. Q: After looking at the report, and with your knowledge of national and statewide efforts, what are some of the most effective strategies that you are seeing emerge? A: In part, the significant decline in food insecurity in the United States is due to a strengthening economy. We know that is one of the key indicators, since food insecurity is largely an economic measure. So the lower food-insecurity numbers could indicate that more people are employed and gainfully employed. We also know that efforts such as THI’s public and private partnership model – where we are building collaboration and facilitating coordination between federal, state and local government agencies, nonprofit organizations, congregations and the corporate sector – seems to be moving the needle considerably. We are doing a better job of utilizing both public and private programs and making them more efficiently available while also saving taxpayer money and reducing the need for bureaucratic spending. Q: Are federal initiatives driving the change, or are you seeing state initiatives as the primary drivers? A: Actually, it seems to be both. The way we at THI have been working on the federal, state and local levels simultaneously have helped us bring about much more strategic collaboration. The USDA has strategically aligned across its sectors to work more closely with state and local organizations. Similarly, state and local organizations are collaborating to fill gaps and meet needs of individuals and families. School districts, for example, have really started to step up and make sure kids have access to two to three school meals a day and are also becoming more engaged in summer meals. Q: What does food insecurity look like in Texas? A: It depends on where you live. Along the Texas and Mexico border, the driving reason for food insecurity is often immigration status. When people do not have legal documentation, they are unable to be employed legally. Oftentimes, they are employed under the table and not paid a good wage. When that happens, they do not have health insurance and they are not going to qualify for federal nutrition programs or federal welfare-related programs. A direct result of that is food insecurity. In some larger urban areas, places like Austin, Houston and Dallas, food insecurity can be a result of rising housing costs. We know that in the state of Texas we have the most minimum-wage paying jobs – which full-time only pays $12,000-$15,000 a year – so it’s hard to feed an individual on that, much less a family. We also know that people with minimum-wage jobs rarely get full-time hours. So, the issue in Texas is not so much unemployment as it is underemployment. Q: The report shows that there are 9.8 million households in Texas and the food-insecurity rate in the state is 15.4 percent. That’s still higher than the national average, but it reveals a significant decrease from the rate of 17.2 percent in 2014. What’s happening in Texas to account for millions more people transitioning from food insecurity to food security? When THI started in 2009, 18.5 percent of Texas households were food-insecure. The USDA report shows that number has declined to 15.4 percent. That is a significant decline. We know that that has a direct correlation to our strengthening economy. We also know that the work THI has done with public and private partnerships has corresponded to a reduced percentage of food insecurity in Texas. These partnerships have created better access to childhood nutrition programs when kids are in and out of school, better utilization of the Supplemental Nutrition Assistance Program (SNAP) program and so on. These are big reasons why we have seen some of the biggest reduction in the country happening in Texas, and we are thrilled that our efforts are making a difference. Q: Can you explain what it’s like for a family to move from food insecurity to food security? A: Often, if people have to choose what to spend money on – whether it is housing or transportation or food – they know that they have to pay their rent and they need to continue to pay transportation costs so they can continue to get back and forth to work. So, food ends up being one of those things they typically find to be negotiable. The transition means that families who were previously unable to afford adequate meals for themselves or their family members can now do so. With that in mind, less food insecurity also means more people are able to afford other things as well. They may be able to pay their rent and mortgage payments in a timely manner and afford transportation. It might mean that they can afford adequate childcare or that they can pay for their medications. That’s a big step in the right direction. Of course, that is going to mean different things for different family makeups, but we are excited about that. Q: Obviously, there is still a lot of work to do. What are some of the successful programs THI has developed these past few years that you feel will continue to drive progress? A: Essentially, we’ve gotten the majority of people and organizations working to address the issue of hunger in Texas to collaborate more. We have been able to identify the gaps in our state, and we have been able to address those gaps; we have been able to identify duplication of services and reduce them. An example of that is the community partner program where we recruited and trained 1,400 community-based organizations to utilize Texas’ online benefits application to help individuals and families and apply for benefits and resources. In doing so, the Texas Health and Human Services Commission was able to close 99 regional offices. We now have more places for people to be able to access federal nutrition programs as well as Medicaid, Medicare and the Children’s Health Insurance Program, at a reduced cost to the state. Not only does this program provide more efficient access to much needed resources, it often yields other benefits. It’s also appropriate to highlight the work we are doing with summer meals participation. THI has developed business models to strengthen summer meals sponsoring organizations that either make the meals or do the contractual work on the behalf of the USDA or Texas Department of Agriculture. We have also recruited sites – churches, congregations, nonprofits – strategically located in low-income neighborhoods. This has resulted in an increase in over 2,000 summer meals sites in Texas, as well as an increase of 21 million more meals to children over the past several summers. Q: Looking forward, and armed with the numbers in the report, what’s on the horizon for THI? A: Though we have seen a reduction in food insecurity, we still have a level of food insecurity that is higher than the national average and is just absurdly high for a state with one of the fastest-growing economies in the country, with one of the strongest economies in the world. The kind of disparity of wealth we have in Texas is unacceptable. THI will continue to work to reduce food insecurity as well as working on the issue of poverty so that we can build stronger public and private partnerships, knowing that we work better together and collaborate with experts in their respective fields, across disciplines and sectors. The challenge is too big for any one entity or sector to be ultimately responsible. We all have to do our part in order to meet those needs, whether we are working on a local level, a state level or a federal level. It is all our collective responsibility. We would love to see our top elected officials playing a part in it, but if they don’t, then we need to step up to fill that void. Jeremy Everett, M.Div., is director of the Texas Hunger Initiative, a capacity-building project within Baylor University. In 2014, he was appointed by Congress to serve for a year on the National Commission on Hunger. 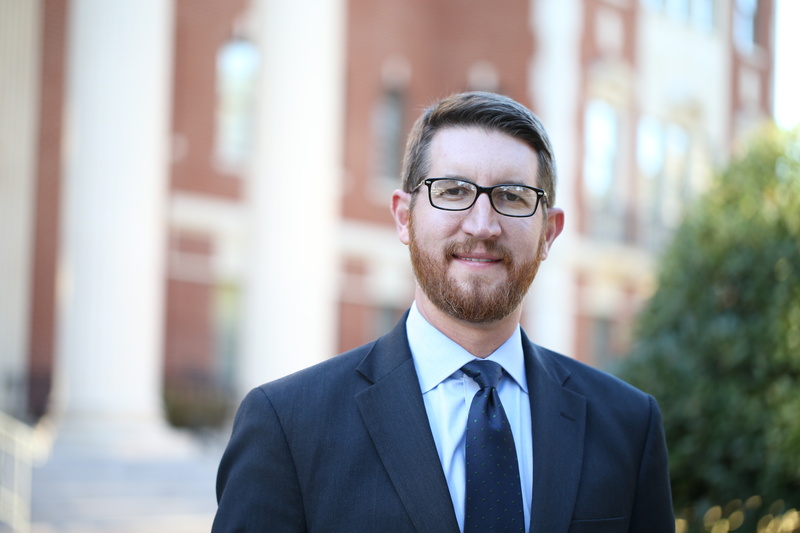 Jeremy holds a bachelor’s degree from Samford University and a Master of Divinity from Baylor University. He has worked for international and community development organizations as a teacher, religious leader, community organizer, fundraiser and organic farmer. The Texas Hunger Initiative (THI) at Baylor University is a capacity-building and collaborative project, which develops and implements strategies to end hunger through policy, education, research, community organizing and community development. THI works to make the state food secure by ensuring that every individual has access to three healthy meals a day, seven days a week. THI convenes federal, state and local government stakeholders with nonprofits, faith communities and business leaders to create an efficient system of accountability that increases food security in Texas. THI’s work to increase participation in school breakfast programs is supported by No Kid Hungry. Along with its office located within the Diana R. Garland School of Social Work at Baylor, THI has offices located in Austin, Dallas, El Paso, Houston, Lubbock, McAllen and San Angelo.